Here is a concert from the Capitol Theater in Passaic, NJ from 1978, after American Flyer and before Little Feat. 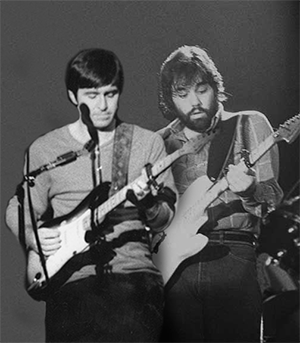 This featured Craig and Eric with Little Feat, Lowell George, Bruce Ginn and special guest Bonnie Raitt join in. John David Call, Michael Wheeler, Mickey Foellger and the Late Michael Bany of Wheels also are there. It may not be the greatest audio or video quality, but the band plays awesome and for those folks never lucky or fortunate enough to see them, it is indeed a treat. Thank you so much for sharing this, ever since I first heard the Fuller Kaz album I was yearning to hear a live performance. It could have been the crappiest audio boot in the world and I still would be happy. But this, this is just awesome! Not only is it the audio, but the video too! And half an hour of some of my fav Fuller tunes? Awesome! It gets even better than Bonnie Raitt, my favorite female singer of all time, and Lowell George: the creator of my favorite band Little Feat and the world's greatest slide rocker join in.